It was but fitting that the company which put quartz-fired watches on most people’s wrists should, in 1993—a time when mechanical timepieces were starting their arduous ascent back into consumers’ consciousness—make a quartz movement that is as beautiful to look at, precise and durable than any other battery powered timing mechanism that came before it. This was the calibre 9F (to be precise, the 9F83A), and its maker, as anybody who gets all giddy at the mention of “Zaratsu” knows, is Seiko. 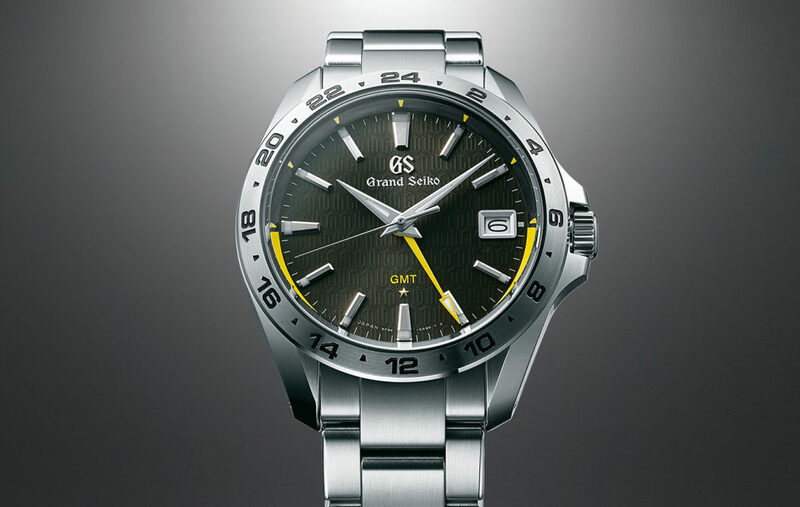 Reserved for the brand’s flagship Grand Seiko timepieces, the calibre 9F is observing its 25th anniversary this year. And so to mark the occasion Seiko in February released two special limited-edition Grand Seiko models powered by the calibre 9F. One was a modern reinterpretation of the seminal Grand Seiko 44GS from 1967, and the other a proper homage to the first calibre 9F-spun Grand Seiko from 1993. But, apparently, Seiko isn’t done celebrating the calibre 9F’s 25th birthday party—the watchmaker has just announced the Grand Seiko SBGN001, the first Grand Seiko GMT powered by the calibre 9F. Pitched as the “perfect calibre for the international traveler” is the anniversary piece’s calibre 9F86, an evolution of the 9F family in the sense that it gets a GMT function. It is promised to be just as accurate (and durable) as the source 9F even when its hour hand is capable of being adjusted independently, thanks to new components created specifically for the latest calibre. Among the fresh parts is the main plate, as well as the redesigned gear train. Also, the method by which the hands are attached has been modified. Such changes mean the watch’s case remains svelte—39 millimeters across, 12.1 millimeters deep—even with the addition of a GMT function to the calibre 9F. Now while the calibre 9F is known to lose or gain no more than 10 seconds in the course of a year—a year, take note—the calibre 9F86 fitted in the SBGN001 is not expected to deviate by more than five seconds for the same period. This full 100% gain in accuracy comes on top of the calibre 9F86 still having the features which have made the calibre 9F a benchmark in quartz-ticked technology. For starters, the calibre 9F86’s date can also switch displays in a fraction of a second—not an easy task in a quartz movement because of the energy required to make this happen. But it was made possible in the calibre 9F family through a setup in which the date indicator’s wheel builds tensions on a lever spring as it rotates, with the stored energy released when the location in a cam determines it is time to switch dates. This prescribed time is set five minutes around midnight. Ensuring this seemingly simple act takes place as it should is that the components involved are aligned by Seiko craftsmen. By hand. The calibre 9F86 also gets Seiko’s twin-pulse motor that causes the second hand to make two consecutive steps per second (instead of one per second, as normal quartz calibres do), thanks to as many number of pulse signals released to it. What this creates is a torque output similar to that made by mechanical movements. 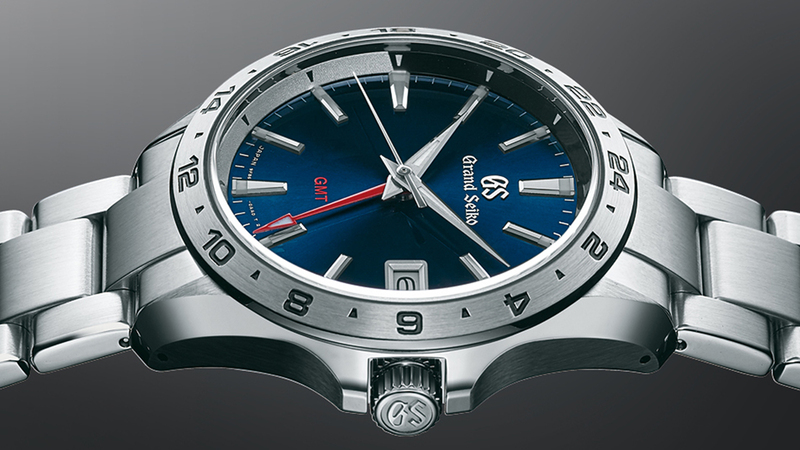 This, in turn, means the calibre 9F family can be fitted with beefy dauphine hands—a signature of Grand Seiko watches. 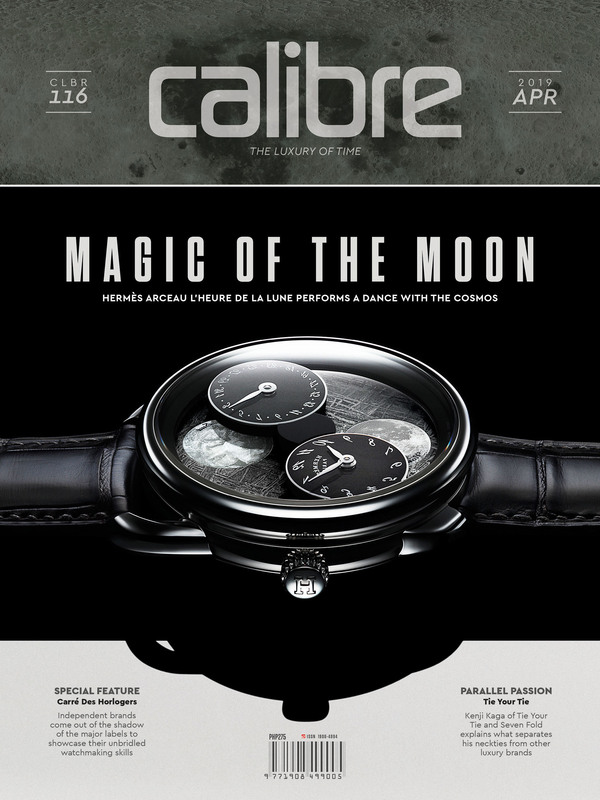 Other features which have made their way into the calibre 9F86 are a hermetic seal that shields the movement from the battery casing (guaranteeing no contaminants will enter the former when it’s time to replace the latter), and quartz crystals Seiko itself has aged to ensure only those with stable pulse rates are used in the calibre. Oh, and like the rest of the calibre 9F family, a finished 9F86 is the product of only two Seiko craftsmen—one tasked to do the date indicator, the other to work on the movement. And, yes, they perform the tasks by hand. 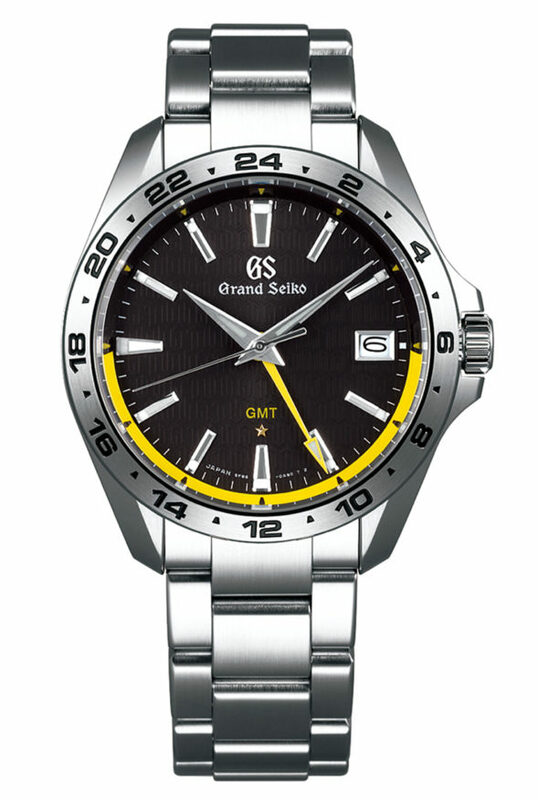 Unique to the SBGN001 is its dial design adorned by a charcoal canvas with a pattern based on the quartz symbol, the Grand Seiko star, a GMT marking in bright yellow, and an identically colored swath from 3 o’clock to 9 o’clock, which easily points if the GMT hand is indicating AM or PM. 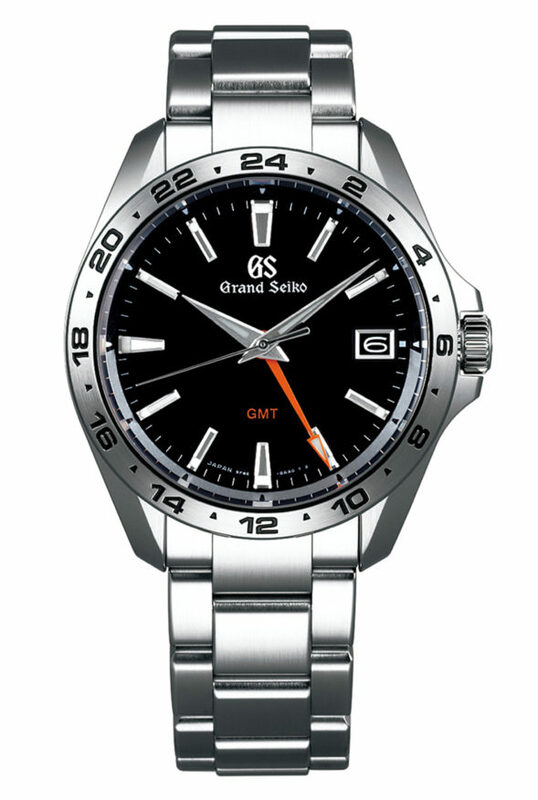 Only 800 examples of the SBGN001 will be produced, with the watches set to be available in select markets starting in October. 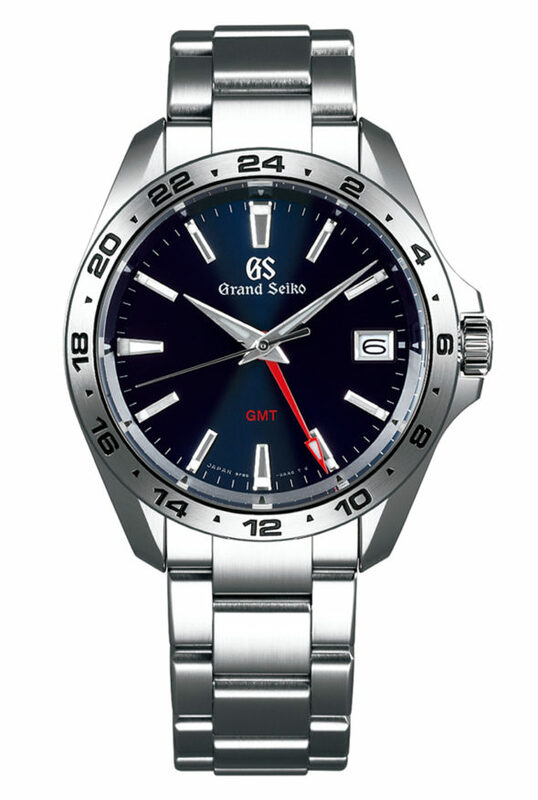 However, also announced with the limited-edition piece are two more calibre 9F86-powered Grand Seiko GMT models, both with red GMT hands and markings, but one coming with a black dial (SBGN003) while the other wears a blue dial (SBGN005). Production of this pair is not capped at any number, but the watches won’t be available until January 2019. Which is not a bad way by which to embark on the calibre 9F’s next milestone.